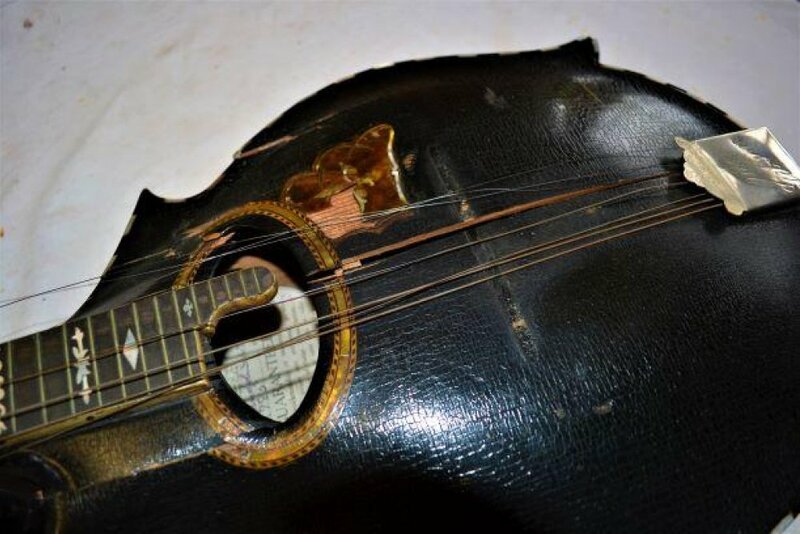 This instrument came into my workshop for restoration and was all but ruined. 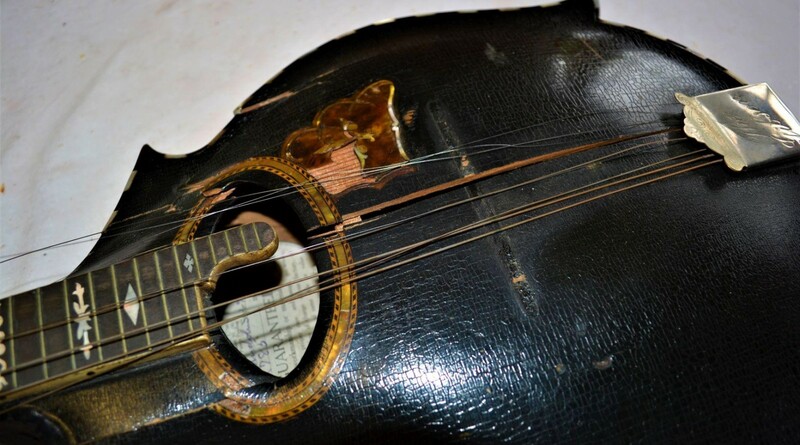 The soundboard was cracked into several pieces and the sides and back had popped apart. 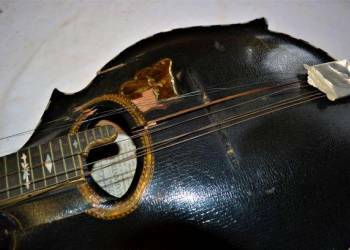 The instrument had crazed dramatically and was almost crumbling off, however it was able to be stabalised by adding French polish and reactivating the original varnish which bonded back together again. 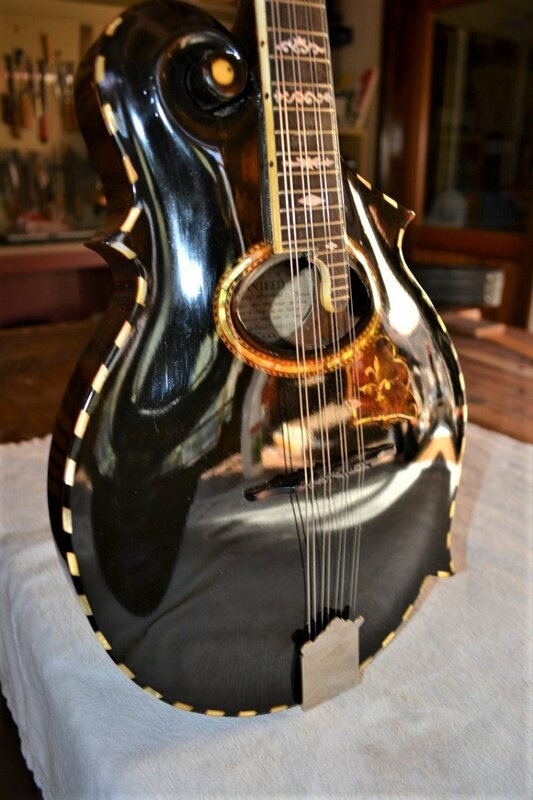 There was pieces of the tortoiseshell pickguard missing as well as mother of pearl tiles that formed the binding. Unfortunately I've lost a number of photos from the middle of the restoration, however I decided it was still worthwhile showing the rest of the process. This is one of my favourite kind of restorations as instruments in this condition are challenging to restore but there's also a lot of history behind these early Gibson mandolins as they were the prototype instruments that led to the development of the now famous LLoyd Loar era instruments. 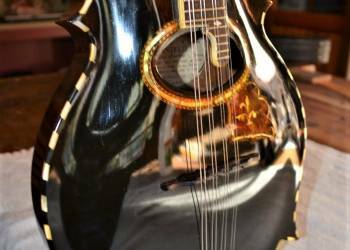 Its rewarding to know that a piece of history has been restored back to working order and can once again show off the quality craftsmanship and creativity of the early Gibson artisans.